First off- Merry Christmas everyone! I’m sure everyone has eaten, drunk, and been merry. 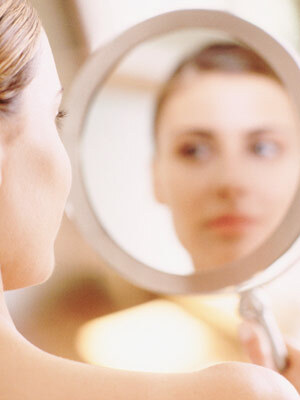 One of the biggest fallouts from the festive season can be your skin. Can the damage be undone in time for that New Years Party? The good news is that with a little work your skin can look better in just a few days. Celebratory feasting can play havoc with your skin. Too much sugar and refined carbs can cause inflammation, uneven skin tone and irritation where there wasn’t before. First off you have to step away from the sweets! Cut out all refined sugar (which has nasty effects on skin both in the short and long-term) and alcohol for a few days, and stock up on veggies, lean protein, and healthy wholegrain carbs. Drinks 2 litres of water a day, and if you need some caffeine stick to green tea which as we know has some major skin saving benefits. Skin needs TLC from the outside too. Body wise try to get in one good exfoliation a day and moisturise morning and night. Soap and Glory have a fantastic range to whip the dullest of skin into shape asap. A good body brush is also a great way to brighten up your skin. And a good fake tan is a great way to instantly make your skin glow. Try Trilogy’s Instant Bronzing Gel for instant shimmery, leaner limbs. 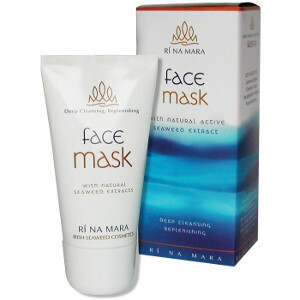 The rest of the range has previously been reviewed but I wanted to let you know about the 75ml Ri na Mara’s face mask with natural seaweed extracts. I enjoy nothing better than closing my eyes and relaxing in the bath with a facemask so I was excited to try this out. I imagined being transported to the Irish seaside, ripples in the bath turning into lapping waves. Description: The tube describes it as a ‘regenerating smoothing mask’ which leaves the ‘skin feeling refreshed and stimulated’ and it ‘strengthens natural resistance to the environment’. That last declaration is a little lofty (I imagine a Captain Planet-style forcefield forming around my noggin), but okay! The mask itself is a thick, aquamarine coloured paste which goes on easily and dries after a few minutes. It has a lovely fragrance- essential as it’s under my nose for 10-15 minutes! The mask washes off as well as any other. Packaging: This is my only (and minor) quibble with the product. It comes in a cardboard box which lists all the ingredients. However, like most people would, I discarded the box- it would just soften and get messy as I use it, with water flying about the bathroom. This means that unless I’ve saved the box I can’t see what’s in it. The ingredients could be listed in small writing on the tube- there’s plenty of room. Result: I used it about twice a week for three weeks. My skin is definitely softer and less dry than it was and my sensitive skin didn’t have any adverse reactions. 4/5!